In 2016, the Houston Health Department will form a regional consortium consisting of managers of healthcare and public health information systems; technical personnel that work with the information systems; and information technology policy makers. Syndromic surveillance provides early detection of aberrations related to public health threats. 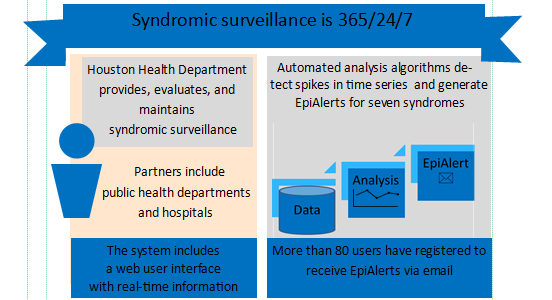 A main component of syndromic surveillance is information obtained from patient clinical encounter records which are sent by treating facilities to health departments via HL7 compliant messages. The information on this site is for healthcare facilities, within the Texas Health Service Region 6/5S, interested in sending real-time health and health related data to the Houston Health Department. 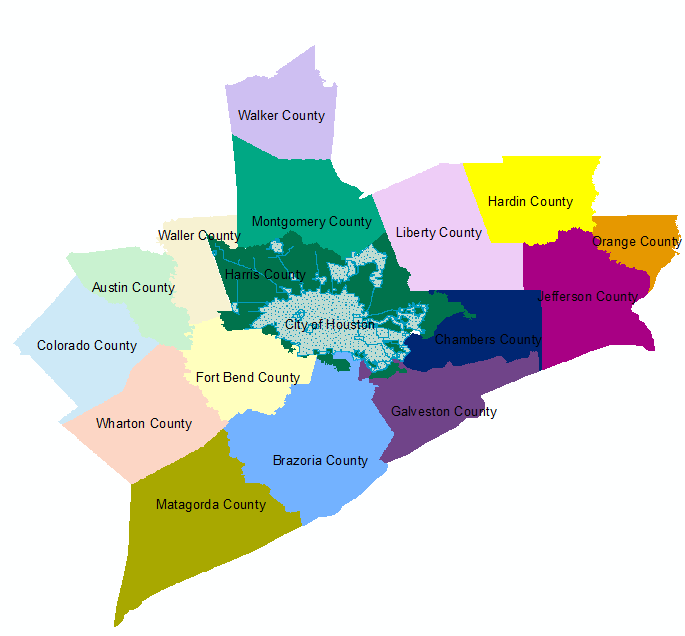 In addition to the 15 counties depicted on the map, Region 6/5S includes: Houston Health Department, Beaumont Public Health Department, and Port Arthur Public Health Department. The syndromic provider application may be requested and submitted via syndromic@houstontx.gov. The Houston Health Department can respond to questions regarding syndromic surveillance questions in Region 6/5S. Facilities may contact syndromic@houstontx.gov or call 832-393-5080. If you are an eligible provider requiring a waiver, please complete this form to obtain an exemption letter. If you are an eligible provider in Region 6/5S, please complete the form to obtain an exemption letter. If you are an eligible provider in Region 6/5S, please contact syndromic@houstontx.gov or call 832.393.5080. If you are an eligible provider requiring a waiver, please complete this form to obtain an exemption letter.